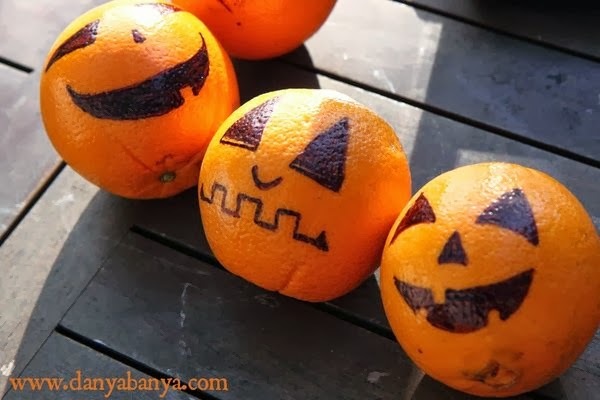 Decorate some spooky-themed fruit snacks and add some Halloween to your fruit bowl. As far as stories go, this one starts on a late September afternoon. 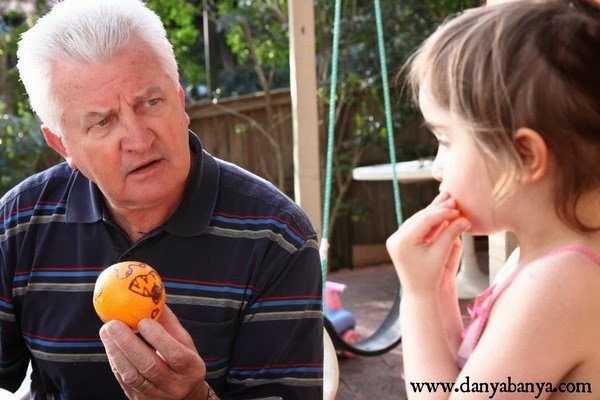 Granny and Pop were visiting, and we were sitting outside eating some oranges. 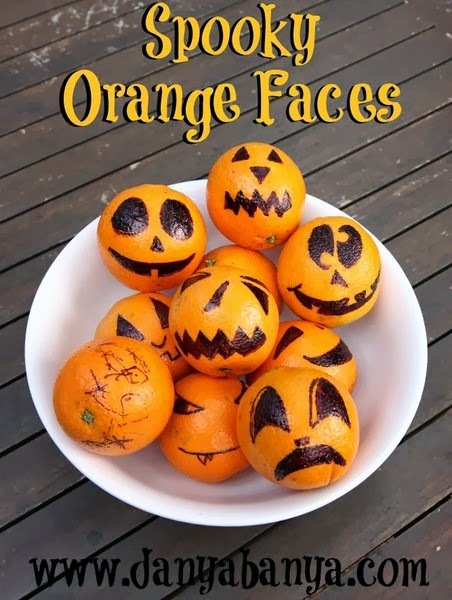 I’d just posted about our family of Orange Faces that JJ and I had drawn the week before, and a few readers had commented that they would be a good Halloween idea. 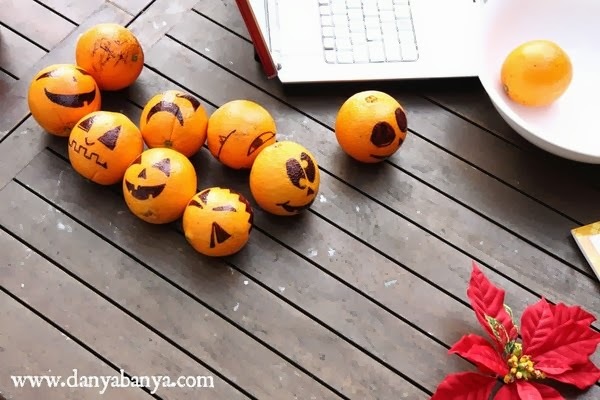 And since I had a fresh bag of oranges just waiting to be decorated…. JJ asked to draw the first one, she wanted to draw a witch. So Granny and I sat and chatted, and drew these three little critters. Then Pop asked if he could have a turn. He drew JJ’s face, checking with her as he went: how many eyebrows did she have; did she have pointy ears; and was there a wart on her nose? 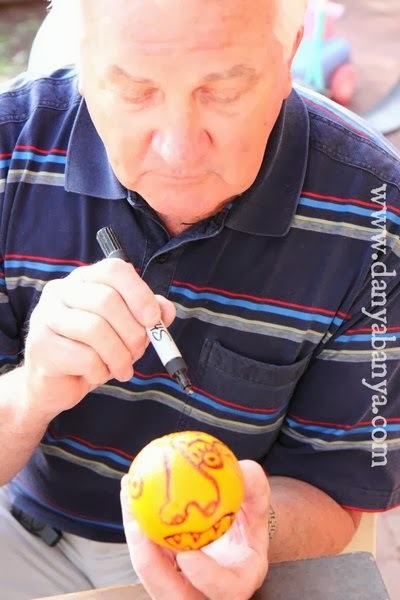 The orange turned into a fantastic caricature of JJ. She loved it! She loved it so much that she asked to eat it, RIGHT NOW! I tried to persuade her to let me take a photo first, but this girl is nothing but determined. 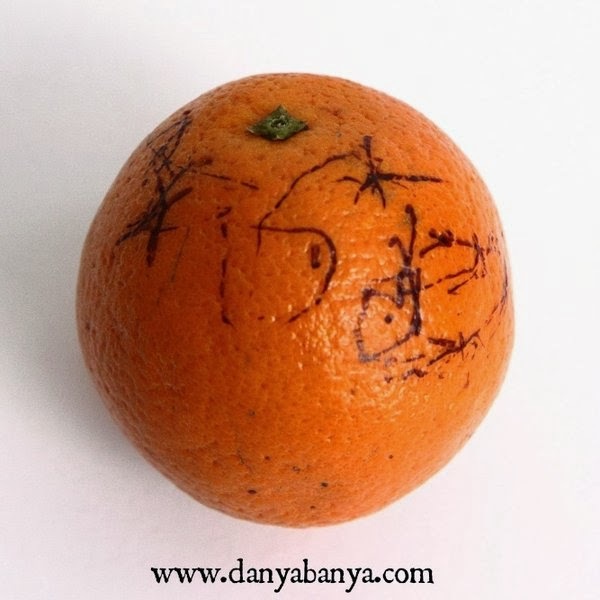 So, sigh, we ate her “JJ orange”, and Granny and I kept on drawing faces on the others. 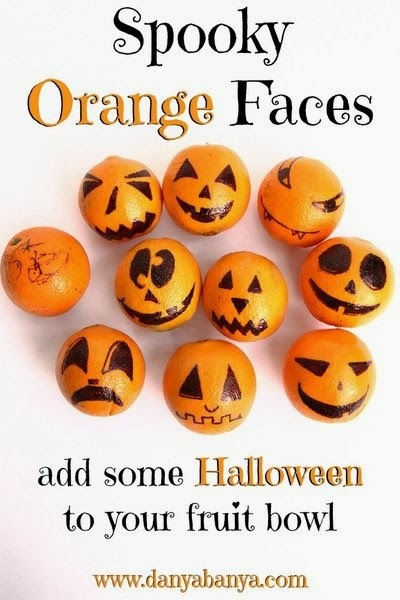 Here’s our original Orange Faces post which was the inspiration for this one. 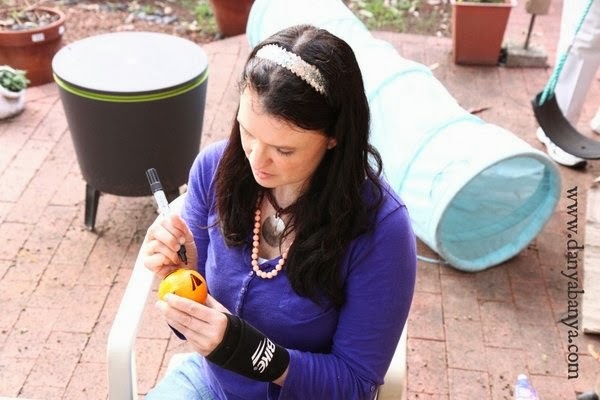 For another themed fruit bowl idea, how about using temporary tattoos on fruit like bananas, mangos or other fruit with skins. 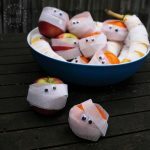 Or you can wrap fruit up to make not-so-scary Fruit Mummies. These yarn-wrapped Jack-o-Lanterns were fun to make. 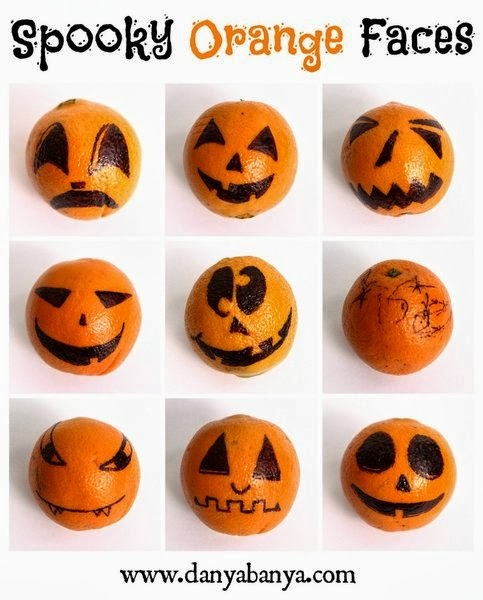 Or try this easy Pumpkin geoboard and see what designs you can come up with. Have you got some old CDs lying around? Upcycle them into CD Ghosts. 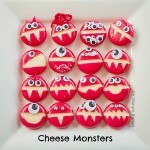 Or get the googly eyes out and paint some sponge monsters. 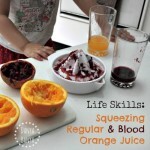 We also have a couple of Pinterest boards you might like to check out. 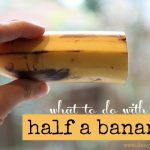 What to do with half a banana? 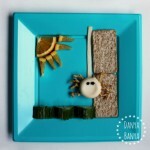 Three easy, healthy & delicious ideas!